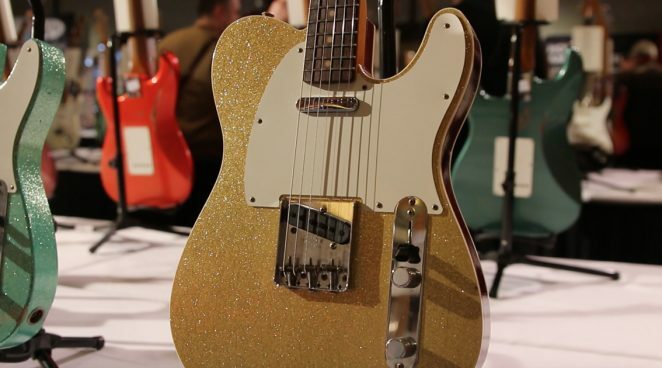 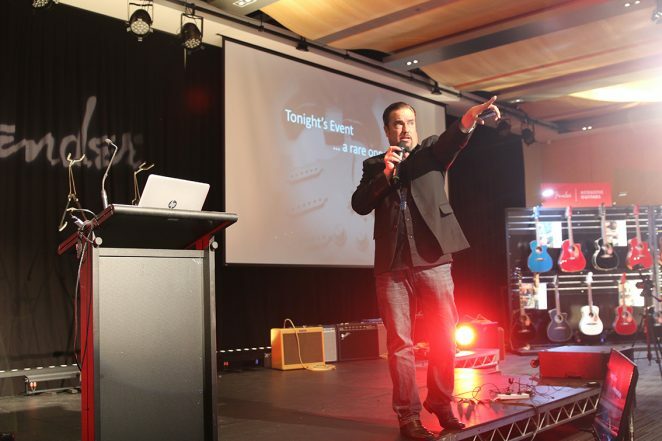 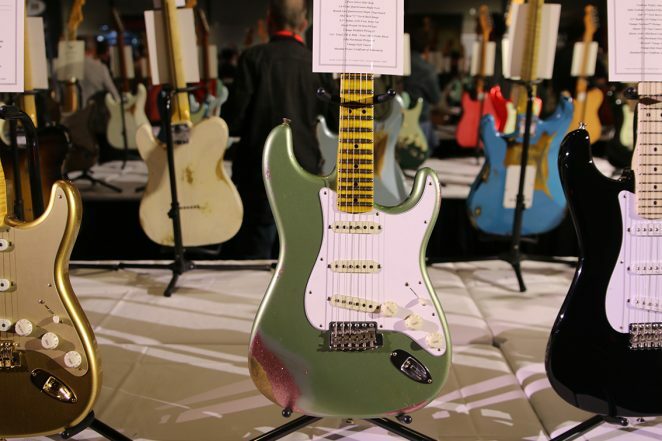 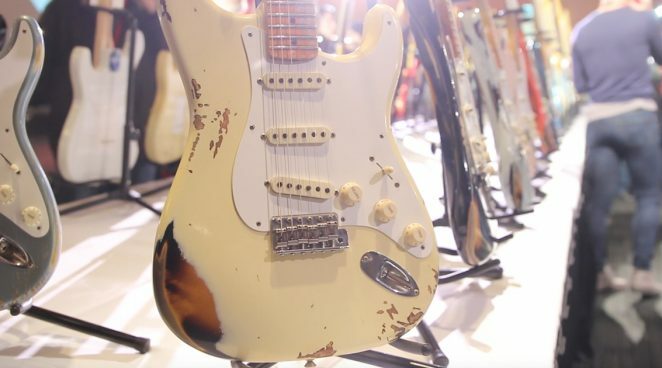 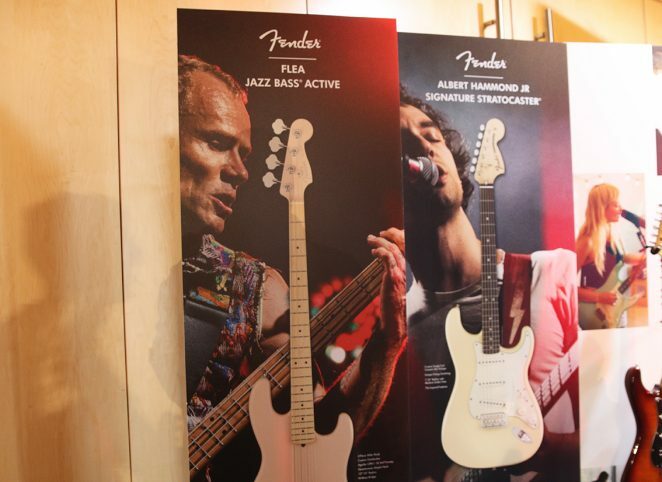 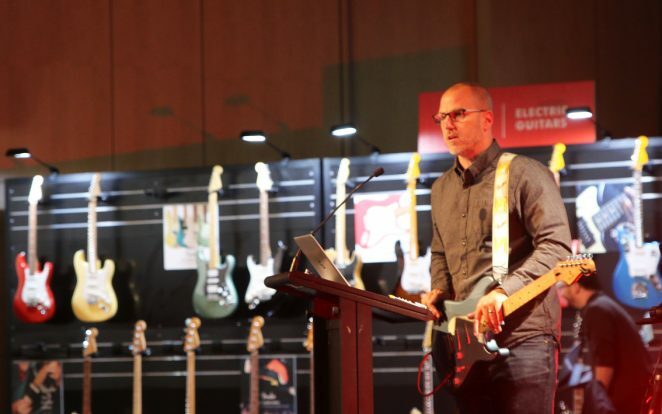 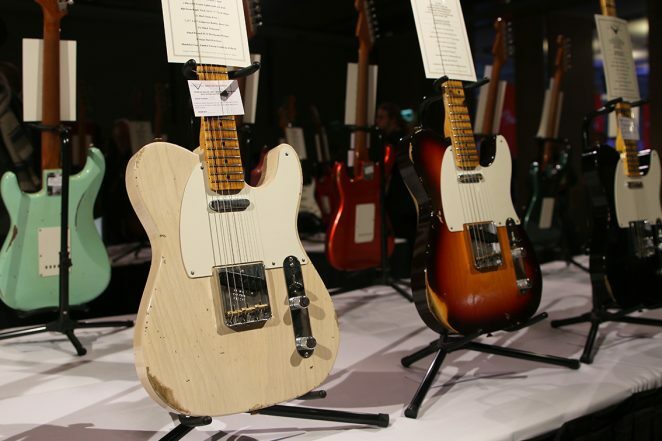 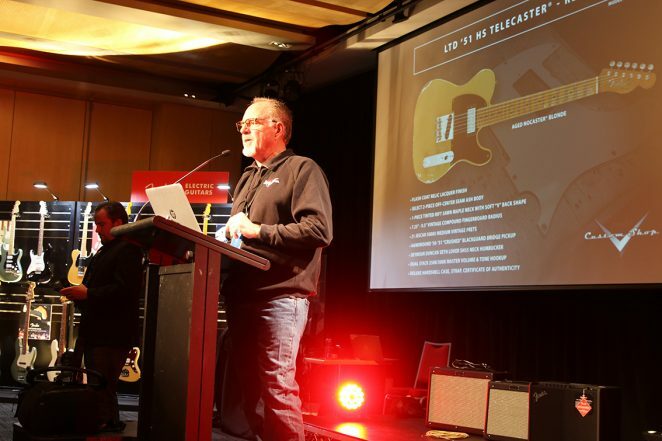 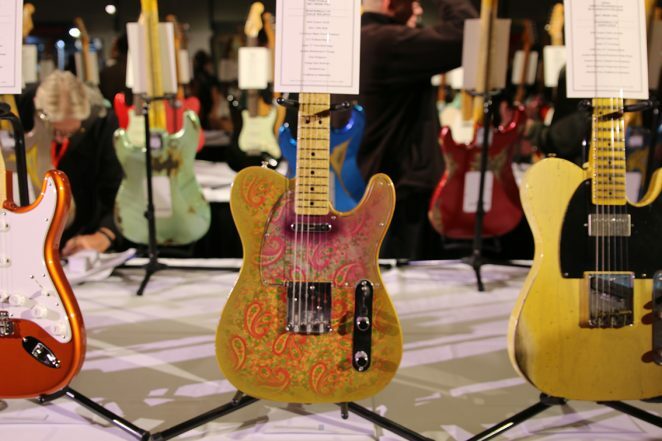 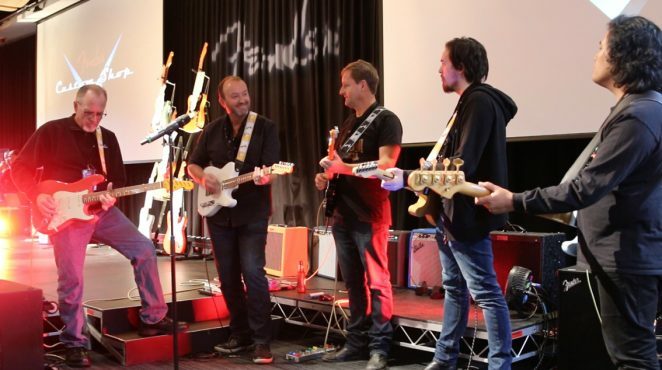 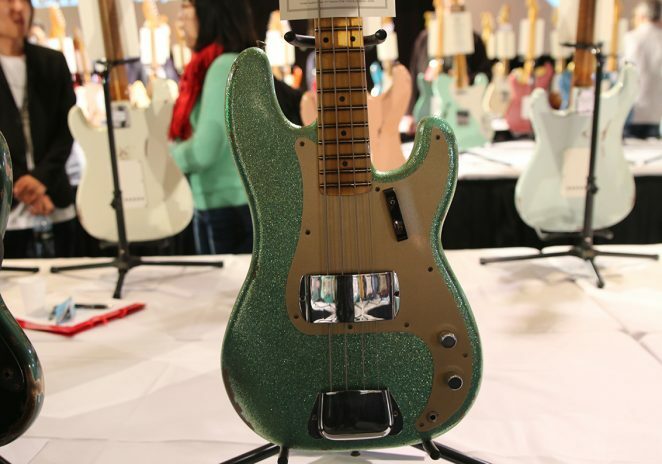 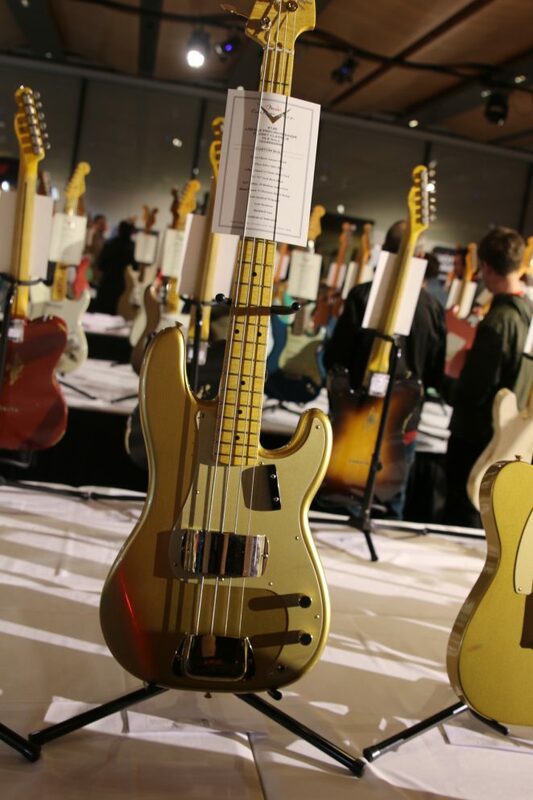 During the week, Fender Musical Instrument company gathered dealers into Sydney for a look at their new releases for second half of the year and also presented a Custom Shop event. 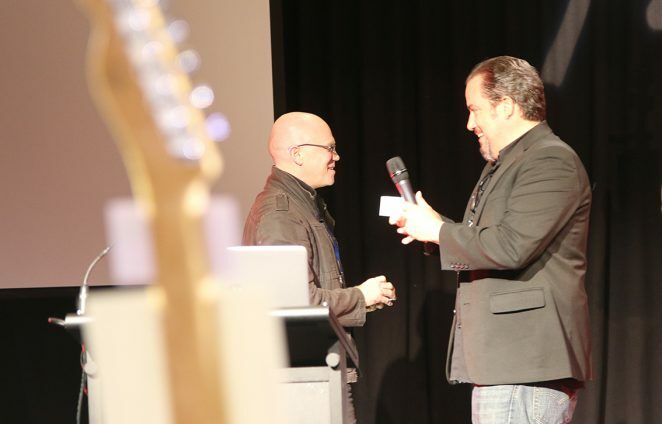 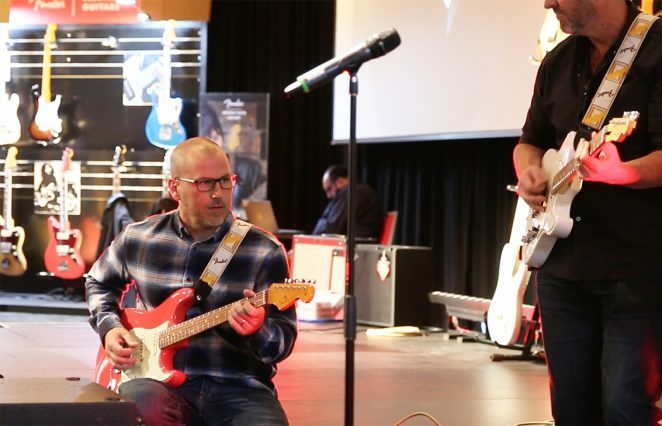 Among those on hand from Fender headquarters to greet the dealers and outline the proceedings for the next six months were Justin Norvell, Snr Vice President Product and Mike Lewis, VP Product Development – Fender Custom Shop. 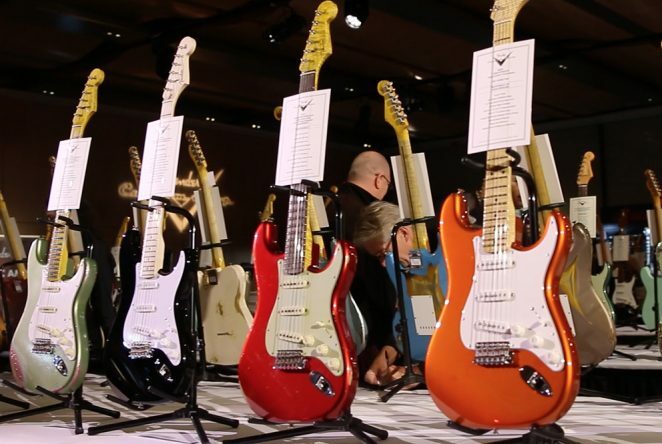 The most significant release of the week was the presentation of the new Player Series, a tremendous progression on the Standard series of guitars. 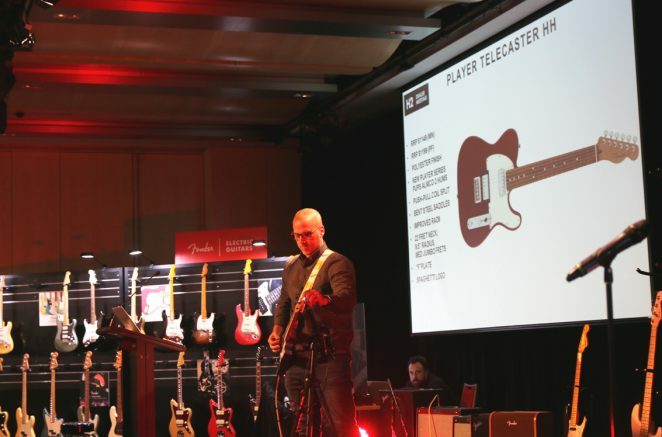 The Player Series features new Alnico pickups, replacing the ceramics, improved body radii, upgraded bridges, 22 fret necks, new colours, classic spaghetti logo and ‘F’ stamped neck plate. 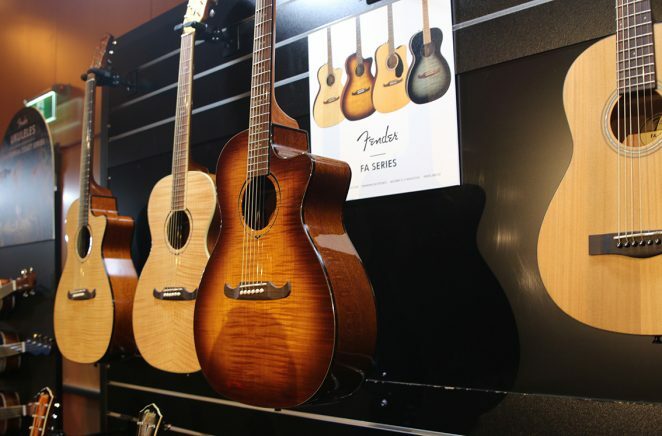 Check out our interview about the Player Series with Justin Norvell below. 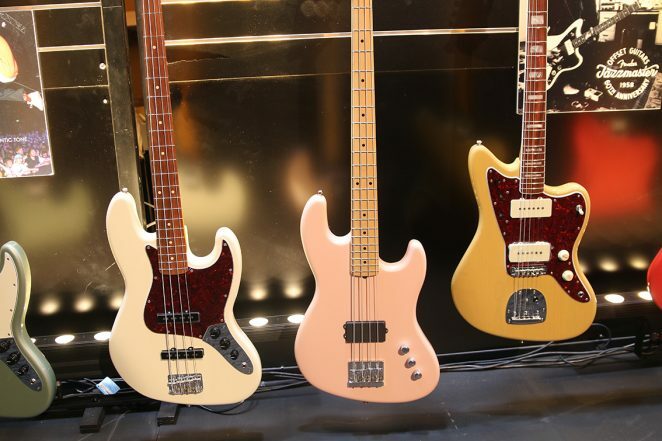 In the Fender Artist series, we were honoured to have a first look at the new Corona-made USA Flea Jazz Bass Active, featuring 2 piece Alder body, Quartsawn maple neck, ‘C’ shape neck, 22 medium frets, Fender Custom humbucking bridge pickup, 12”-16” compound radius, Hi-Mass bridge, and Aguilar OBP-1 18 volt preamp. 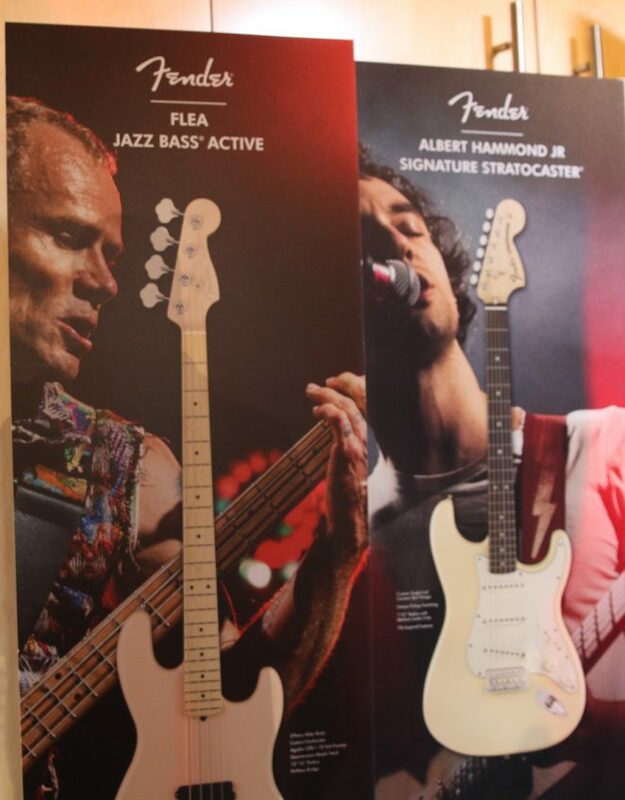 Also on its way is the Albert Hammond Jr Stratocaster with alder body, period-accurate glass polyester finish, 3 custom ceramic single-coil Strat pickups, Modern ‘C’ shape neck, bullet truss rod nut, rosewood fingerboard, unique pickup switching, 70s era headstock and logo. 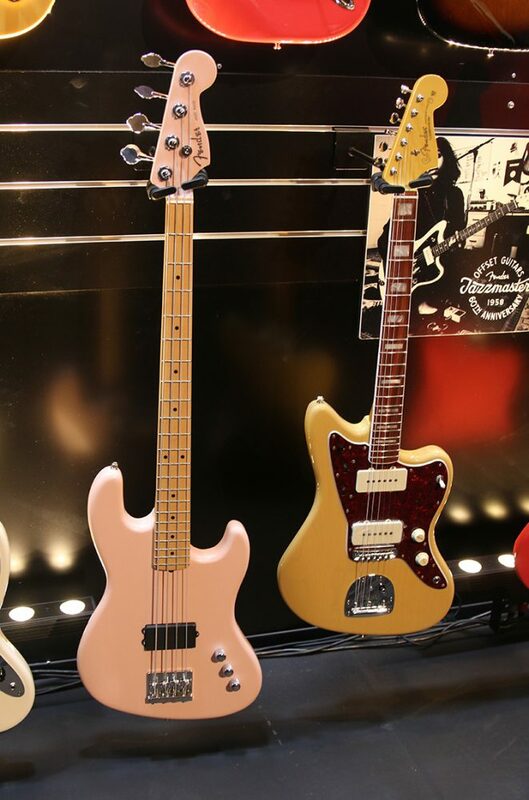 The Johnny Marr Jaguar we already knew about, featuring Lake Placid Blue limited run, maple neck based on Marr’s 1965 Jaguar, vintage style heel truss rod adjustment, custom-wound bare Knuckle Johnny Marr single-coil pickups, 4 position plade switch mounted in lower-horn chrome plate, dual upper-horn switches, jaguar bridge with Mustang saddles and vintage style floating tremolo tailpiece and ‘taller’ trem arm with nylon sleeve insert to prevent arm swing. 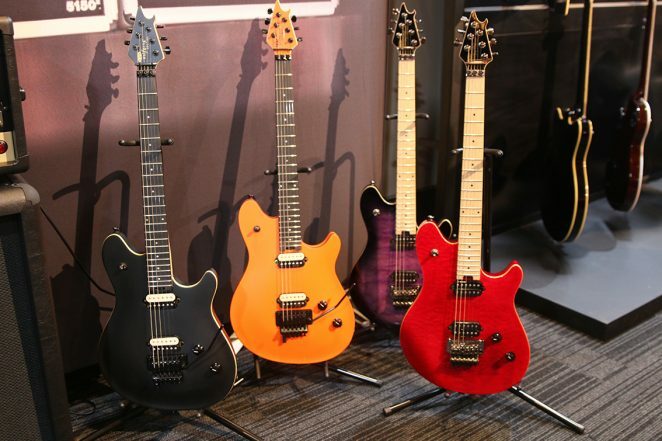 A couple more Artist models, which we saw but were sworn to secrecy about, are currently at prototype stage and due for release later in the year. 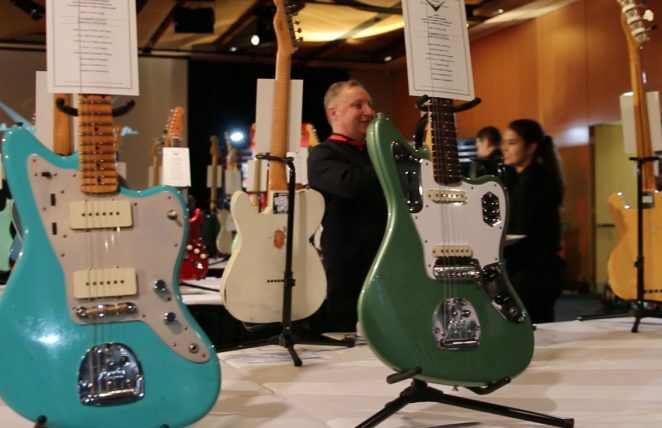 Also on view were the Limited Edition 60th anniversary Triple Jazzmaster and Classic Jazzmaster. 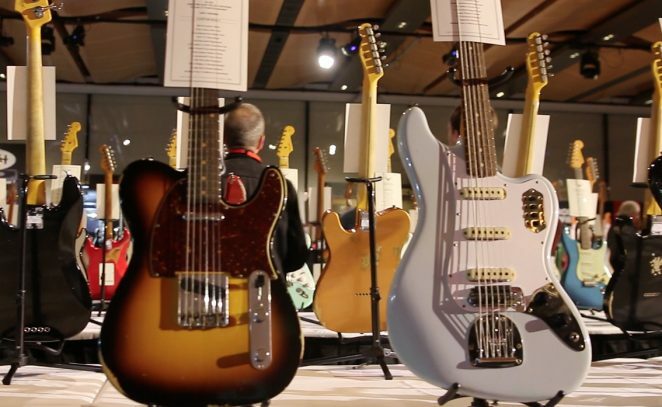 Several models in the Classic Series are new too including a ‘50s Strat Lacquer , 60s Strat Lacquer , 50s Tele Lacquer, ‘50s P Bass Lacquer, 60s Jazz Bass Lacquer and classic series ‘60s Jaguar Lacquer. 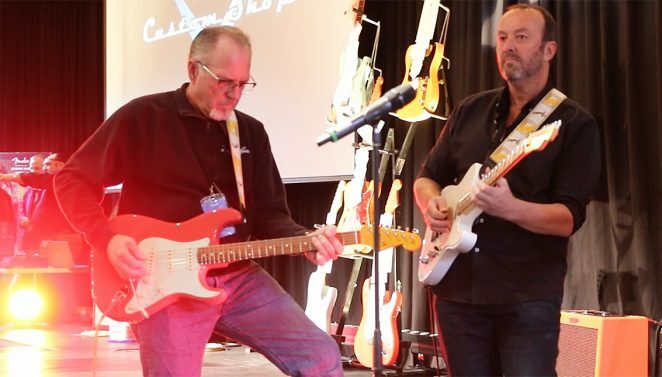 Amp-wise, new models to the Mustang GT Amp toolbox are Mesa Boogie Mark iiC+, Bassbreaker 15, Studio Tube Pre Amp, Dual Showman and Acoustasonic Simulator. 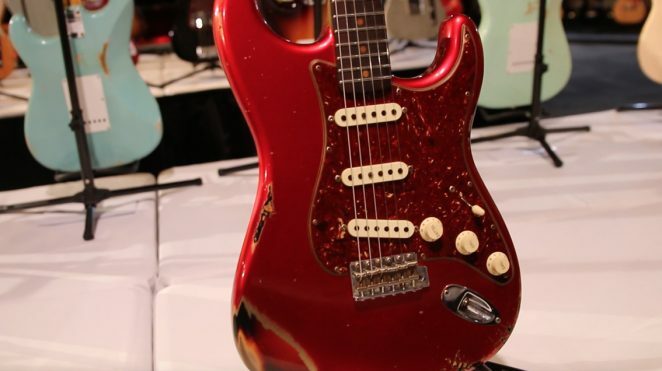 New effects include; Metal Gate, Modulated Small Hall Reverb, Modulated Large hall Reverb, Boutique Drive, Sustain, Modulated Analog Delay and Fender Blender. 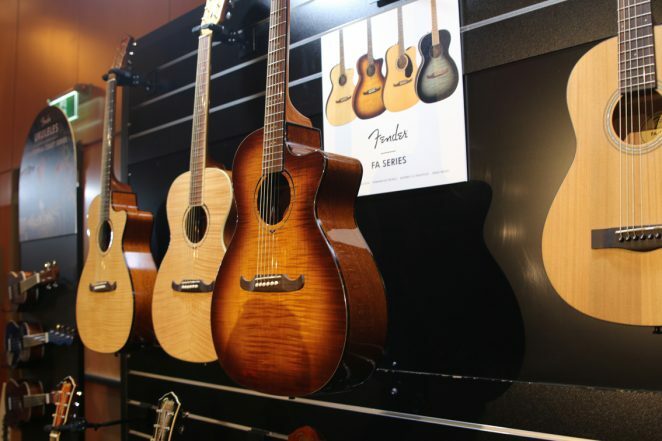 In their ukulele line, Fender continue to buck convention with their unique Fender headstock models including two new Signature ukes dedicated to Grace Vanderwaal, their youngest signature artist ever. 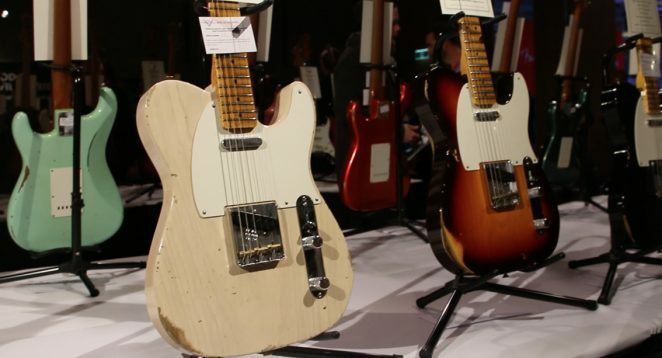 The grander, official release on all of this gear occurs at Summer NAMM in Nashville next week.